If you're currently sporting a flagship Sony smartphone you're probably enjoying the Android Marshmallow experience, but also wondering when you'll be updated to Google's latest software. Well, we may now know. A leaked roadmap supposedly showing Sony's plans for its Android Nougat update has been spotted by Xperia Blog. Apparently the slide pictured below comes directly from a Sony Slovakia press conference, although it's difficult to verify that. If correct, owners of the 4K-toting Sony Xperia X Performance and newly launched Xperia XZ flagship will be first in line to get a taste of Nougat this October. 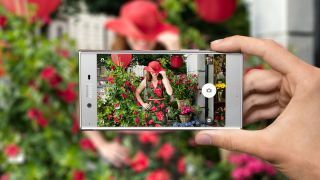 November will see the Xperia X and Xperia X Compact get the Nougat treatment, while the Xperia Z5 series, Xperia Z3+ and Xperia Z4 Tablet are tipped to get the update in December. For those with Xperia XA or XA Ultra phones, your wait will be a little longer with the leak suggesting a Nougat update in early 2017 for you. If you want to be one of the very first to get their hands on Sony's Nougat update you'll need to pick yourself up an Xperia X Performance, register with the Android Nougat beta program and live in one of the following countries: Sweden, Norway, Finland, Denmark, Lithuania, Estonia, Latvia, Iceland, Italy, Spain, Portugal and Netherlands. For many then, the Beta program is off limits – but at least you know there's not too long to wait until the final build is rolled out to your high-end Sony smartphone.